For some military veterans, the first day of school at a new college or university is as challenging as a deployment to a foreign country. Immersion in a new culture and reintroduction to a demanding academic environment can make the transition from military to higher education difficult. To ease the transition, the Warrior-Scholar Project (WSP) hosted its fourth intensive one-week academic boot camp at Syracuse University July 14-July 21. 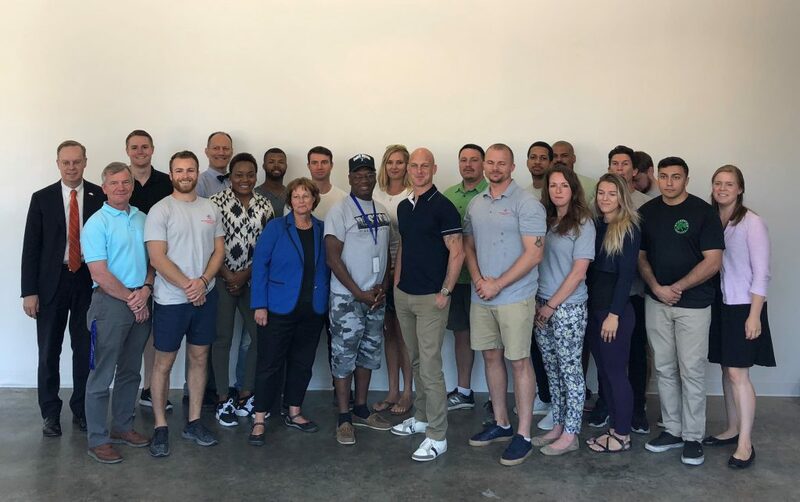 The Warrior-Scholar Project coordinates immersive academic preparation courses for enlisted military veterans of any skill level at America’s top universities. The Warrior-Scholar Project coordinates immersive academic preparation courses for enlisted military veterans of any skill level at America’s top universities. The program is designed to help military veterans develop and rediscover the skills and confidence necessary to successfully complete four-year undergraduate degrees. Because veterans are non-traditional students with unique experiences distinguishing them from their college peers, WSP also uses the programs to help prepare participants for the emotional and cultural adaptations required to succeed in a higher education setting. This year’s class of 14 Warrior Scholars hailed from California, Florida, Rhode Island, North Carolina, New York, Mississippi, New Jersey, Wisconsin and Massachusetts and had served in the Army, Marine Corps, Navy Air Force and Coast Guard. All participants were enlisted service members whose careers spanned anywhere from 3-17 years. WSP launched its first program at Yale University in 2012 with nine participants. Since then, WSP has expanded to encompass 17 top schools, including Syracuse University, and is on track to host more than 245 veterans at boot camps across the country in 2018. In addition to Syracuse University, WSP graduates have gone on to enroll at top schools, including Yale University, Harvard University and Georgetown University. Each WSP boot camp is run by a team of WSP staff and student veterans and taught by university professors and graduate students. An intensive syllabus composed of both classic and modern scholarly works guides participants as they learn how to frame their ideas in an academic context, think critically, and formulate scholarly arguments. Participants not only learn the subject-matter material, but they also learn how to learn. WSP funders, including host universities and private donors, cover the entire cost of the program for participants, excluding travel. Student veterans attending Syracuse University boot camp will reside in campus housing and attend lectures in various classrooms. To learn more about the program, visit www.warrior-scholar.org.